Cute Chocolate Teddy Bouquet. are the Perfect Gift for any Occasion. 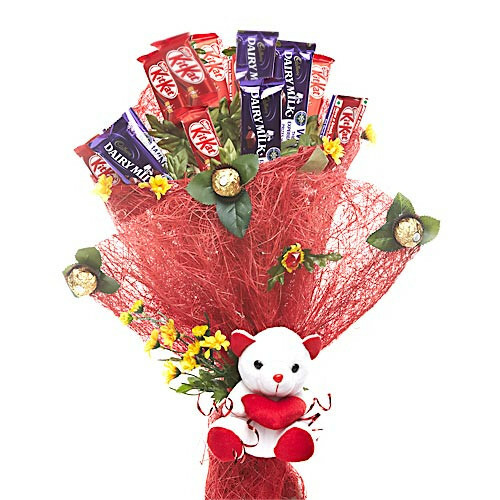 The Bouquet contains 4 Cadbury Dairy Milk Chocolate of 38 grams each, 7 Kitkat of 18 grams each, 6 inch Heart teddybear and 3 Ferrero Rocher nicely Packed.